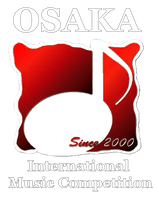 The regional round of the 19th Osaka International Music Competition has just done in Kuala Lumpur and now we are moving on to the 20th round in 2019. This year, we have added another venue in Penang plus more categories namely, Woodwind section, Harp, Folk Instruments, Solo Recital Course, Concerto, Four Hands, Musicals and Youth course for very young ones. The spirit of this competition is to find fine artists from all around the world and offer opportunities for them to compete in an international platform. The competition is dedicated to promoting arts and culture under the banner of world peace and mutual understanding. Both Penang and Kuala Lumpur Round should be applied through online application in this website. Please do not forget to select the Entry Region while filling out the online form. Please choose from the following three sections for the entry. Multiple entries are welcome. Should you require an accompanist, please click HERE. Penang Regional Round: Komtar Auditorium (A). 9th(For Juries' concert) & 10th August(Competition). Kuala Lumpur Regional Round: 3rd to 4th August, 2019 For All Sections at The Gardens Theatre. Application Deadline: 15th July, 2019. This first section is the open category for Piano, Vocal, String, and Woodwind players. Click the image above for more information. The second section here is for Solo recital, Four hands, Folk Instruments, Concerto Audition and Ensemble groups who seek for artistic perfections. Section three is for Youth & Amateurs (non-music majors/music professionals) from young to elderly, who are passionate in expressing their own unique music.